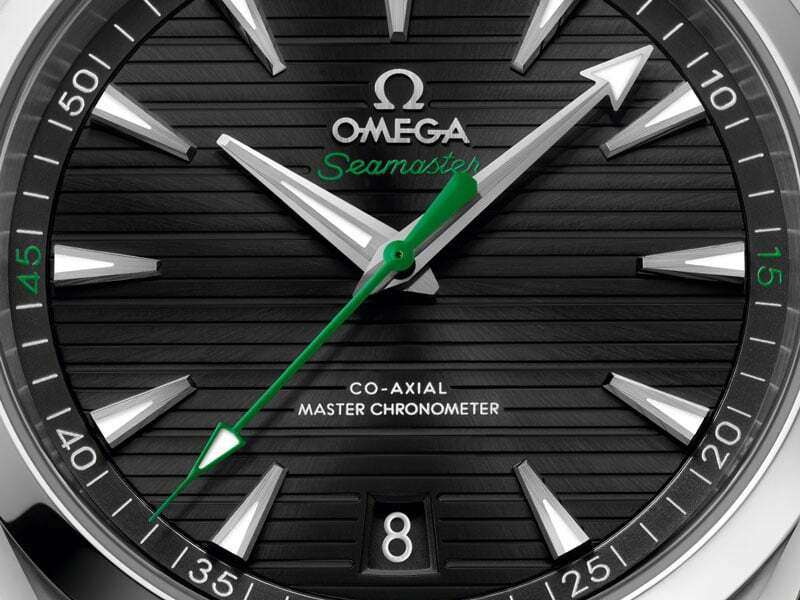 The global game has served as inspiration for many of OMEGA's finest timepieces, including this year's Seamaster Aqua Terra "Golf" collection. 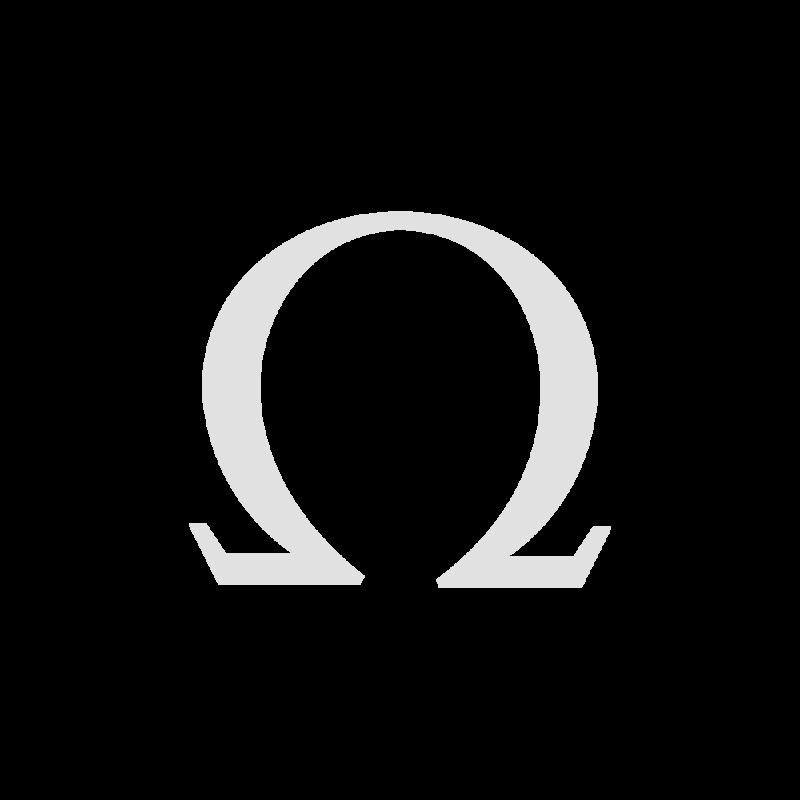 These 41 mm stainless steel watches are presented on NATO straps, to keep the watch firmly on the wrist through the biggest swings. Since wearing the winner's jacket at the 2017 Masters, Sergio Garcia can't get enough of green. 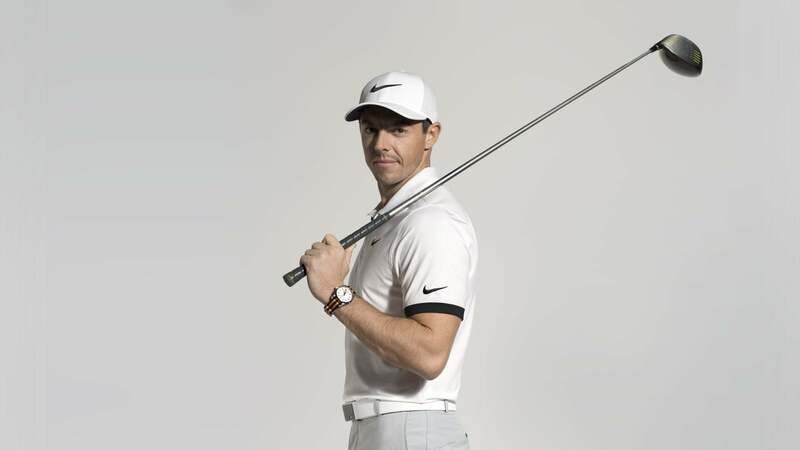 The popular Spanish golfer chooses to wear the Aqua Terra "Golf" with green and black striped NATO strap. 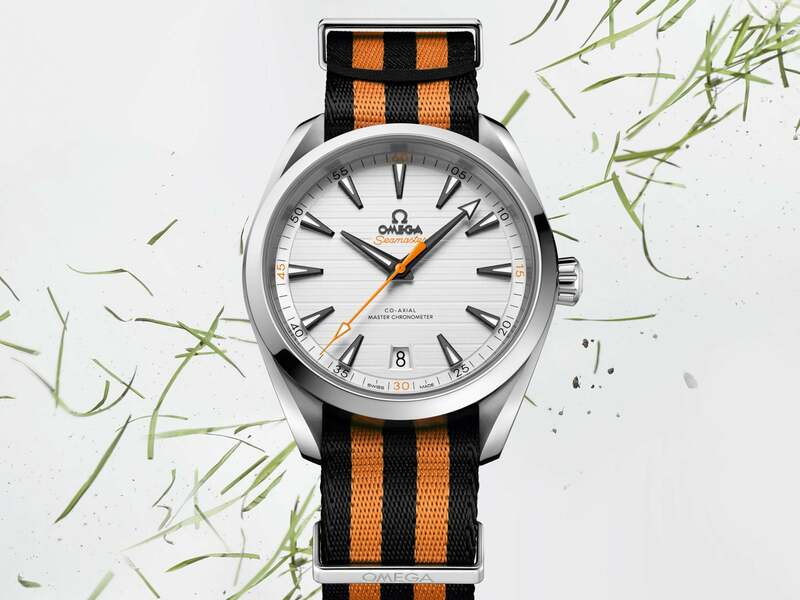 Rory McIlroy likes to keep his Aqua Terra in place with a sporty black and orange striped NATO strap. With four Major wins to his name, the golfing legend has well and truly earned his stripes. Prepare to take your eye off the ball as these models are very distracting. Both feature horizontal "teak" pattern dials, in sunbrushed black or silvery, depending on your choice of NATO strap. 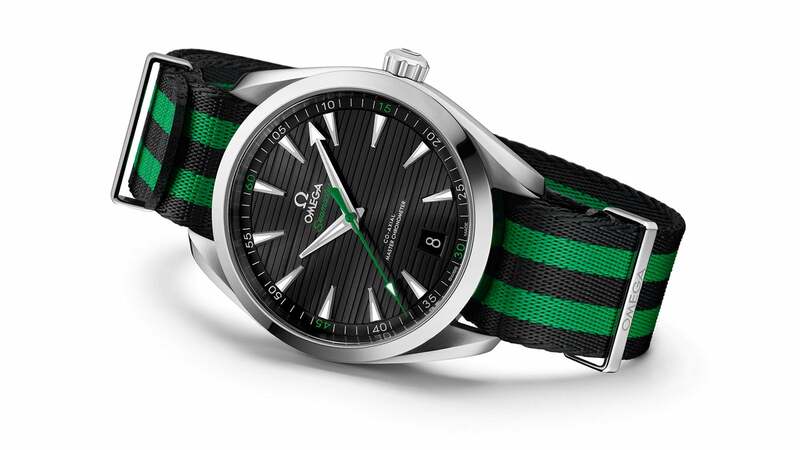 On each watch, the 15, 30, 45 and 60 on the minute track matches the colour of the strap attached, as does the seconds hand and Seamaster logo. 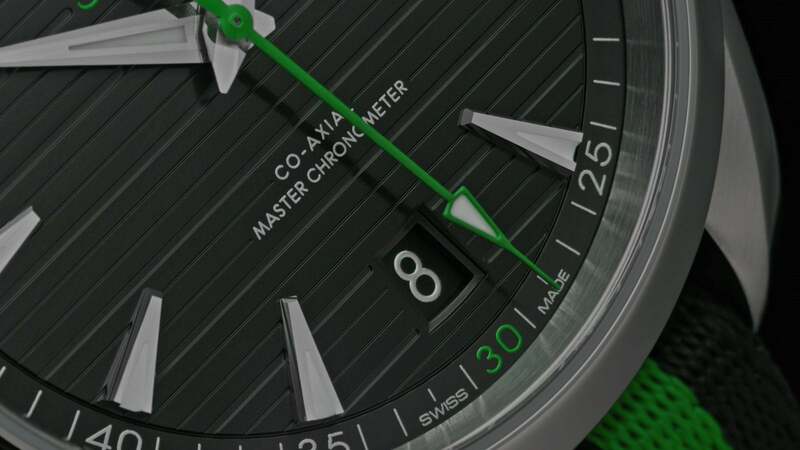 "As both watches are Master Chronometers you can be sure of world-class precision, both on and off the fairway"
Certified at the industry’s highest standard by the Swiss Federal Institute of Metrology (METAS), both watches are powered by the OMEGA Co-Axial Master Chronometer 8900 movement, which can resist magnetic fields of 15,000 gauss. A golf game is a battle of wills, so it's a good thing you can rely on a strap with a military history. 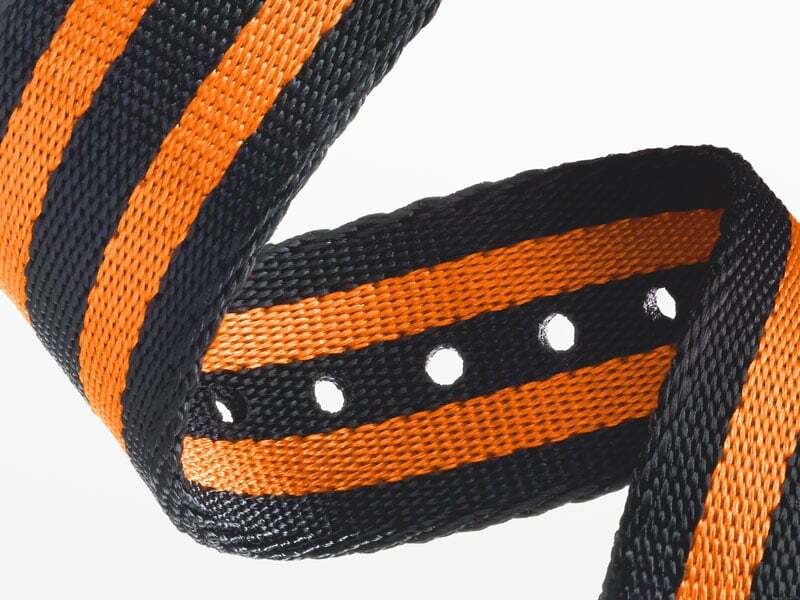 In sporty green and black, or orange and black, our NATO straps will keep your Aqua Terra firmly in place, even when the going gets rough. 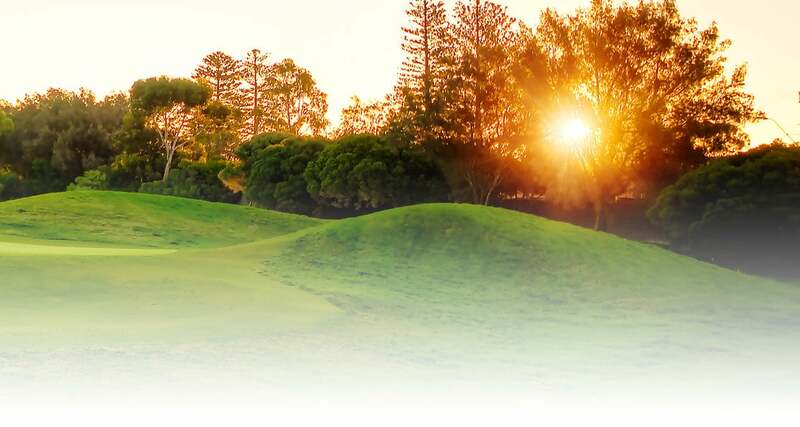 For years, our passion for golf has been a vital part of our brand identity. 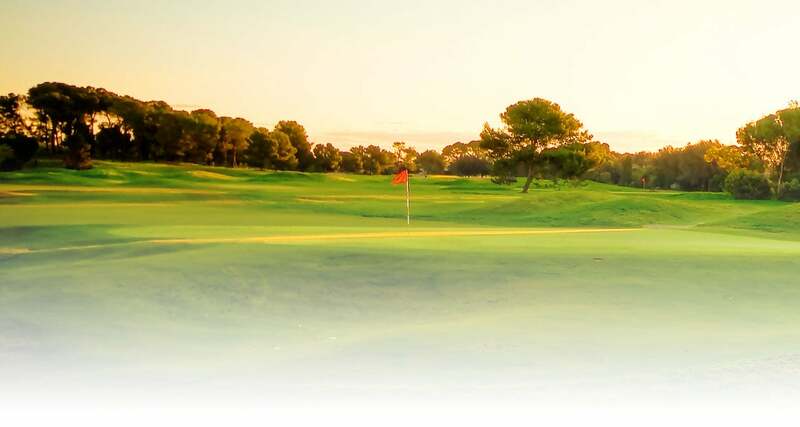 We are associated with some of its best events and finest players.